What is it about January? Every year in the Western Hemisphere begins behind a bleak and dull curtain of sour weather and, sadly, flu bugs and malaise. This is another reason we place a premium on playing pari-mutuels as the new year launches because the action and, of course, the wins, cut through the cosmic fog of the season and perform like a grand overture for the great horse racing theaters to come with better weather and, naturally, better horses. We have been doing well with pari-mutuels here so far, helping to buoy the bad senses of the season. Concentrating on overnights we’ve hit for some major scratch and our horses-to-watch (H2W) list has accumulated 10s of winners so far. At the Meadowlands another round of the Super Bowl series for trotters may offer value it has denied players thus far, so check into our choices below. We target more overnight events that propose profitable results and the H2W list ensues with hot candidates for win, place, show and exotics. The Super Bowl series at the Meadowlands for three- and four-year-old trotters holds its second preliminary leg on Thursday, Jan. 16. There are only two divisions this week and if we look beyond the obvious we find there may be a few upsets in the making. Division one will find the entry an overwhelming public choice but let’s not fall in love so soon. 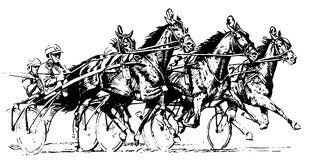 There is plenty of competition here and a 30-1 morning line (ML) trotter from post 1 that deserves an upset chance. Connie Keeper does not have enough wrong with her yet to dismiss here. She failed last week at 110-1 in her second outing this year. She is still a maiden but has very good lines from October of 2013. She can do nothing but improve with only 16 starts and if she does get better or wins off of major mistakes by the entry or Cajole Hanover, this is where you will get a big price. In division two we will once again go with Clementine Dream. She broke at the start and was eliminated but her general composure is worthy to back and there will be a decent price on her, certainly better than her ML. Four Starz Kyle has changed trainers a few times and settles in at the Meadows after tours at Pocono, Philadelphia, Yonkers and one at the Meadowlands this year. He faces a probable favorite that must prove himself at a higher level, a Dave Palone drive (dropping) and not much else that has had decent success at this level. “Starz” has won at this level and been knocked around with tough trips trying to step up. He will be a price here, surely offering higher odds than his chances. Two going from the outside make this race look appetizing to our kind of bettors. PL Dragon (post 6) has been racing with winners-of conditioners until recently and was all out from post 8 last week in Pittsburgh, finishing second strongly. Leaving to his right is Hall Of Memories, who was stifled from post 9 in a step-up (94-1) situation at the Meadows last week. He left slowly and showed no interest in being a part of that race. He has won a winners-of event at Northfield and one here at a lower level and he deserves a shot at being in the mix here, certainly in exotics.